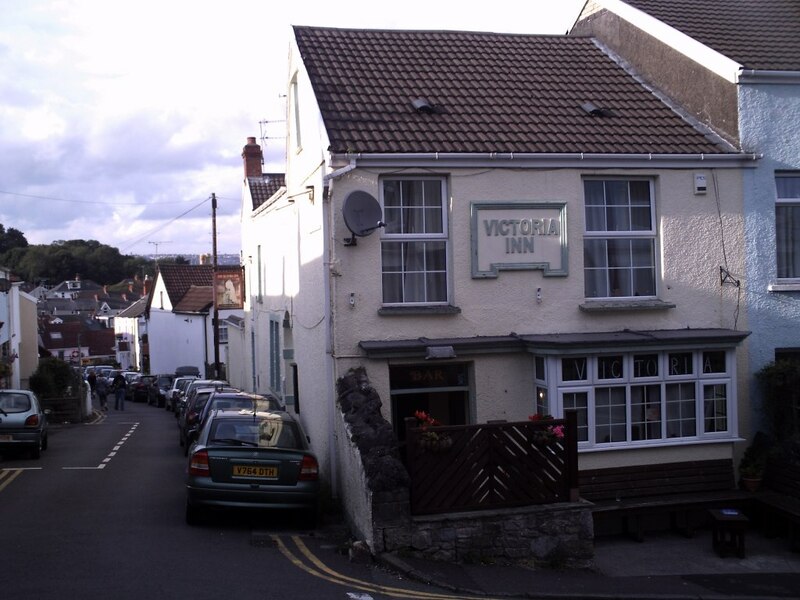 I met Vince at The Victoria Inn, in mumbles. Vince was wearing a Swan’s jersey and had attended the same match that Chris had. Vince was enthusiastic about the project and said that it reminded him of his Terri, the circumnavigating Terri-dactyl who is currently hitch-hiking with any traveller willing to take him. Terri has his photographs taken at locations around the world and the latest news of Terri’s whereabouts located him in Panama. If Vince finds and sends me photos of Terri’s travels, I’ll be sure to post them. 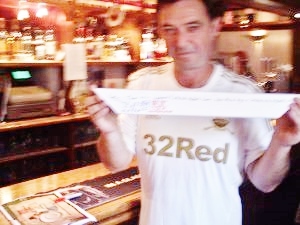 Vince gave the assemblage an engagement party invitation for the engagement of the pub-owner’s daughter. Vince enjoys playing cricket at the local cricket club. He started out as a bowler before discovering that more of his talent lay in batting. He sent me to the mumbles cricket club and told me to ask for Ian Mallet (Aldo) or “Tree” — so called by reason of his stature.